DJI Care Refresh + offers you the chance to renew your Care Refresh by extending its coverage for one more year, providing one more opportunity to replace your damaged DJI product for a small additional charge. Furthermore, the warranty* period of your product will be extended byat least 12 months. 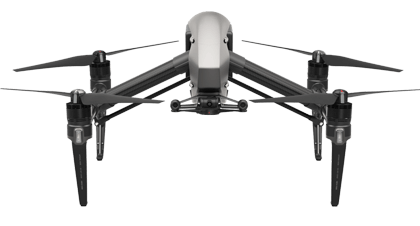 *The product’s extended warranty period is based on the purchase date of DJI Care Refresh + and the warranty of the product or components. · DJI Care Refresh has not expired. 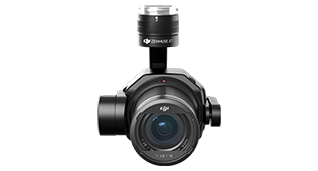 · DJI Care Refresh has at least one product replacement left. 1、What is DJI Care Refresh +? DJI Care Refresh + is a service plan that offers you the chance to renew your Care Refresh by extending its coverage for one more year as well as providing one more opportunity to replace your DJI product within 12 months. Furthermore, the warranty period of your product will be extended by at least 12 months. And a free repair service will be provided if your product has a manufacturing defect. 2、How can I purchase DJI Care Refresh +? 1) DJI Care Refresh has already been purchased. 2) DJI Care Refresh has not yet expired. 3) There is at least one product replacement left under DJI Care Refresh. 3、Where is DJI Care Refresh + available? At the moment, DJI Care Refresh + is only available to customers in Mainland China, Hong Kong, Taiwan, North America (U.S. and Canada) and Australia. The supported region or country may be different for some products. You can check whether DJI Care Refresh + is available in your country on the DJI Online Store. 4、How is DJI Care Refresh +’s coverage period calculated? 1) The coverage period of DJI Care Refresh +’s replacement service is 12 months and starts from the day when your DJI Care Refresh expires. If your product has been replaced twice before DJI Care Refresh expires, DJI Care Refresh + will not take effect until your DJI Care Refresh expires. 2) The coverage period of DJI Care Refresh +’s extended warranty service starts from the day when the product’s warranty service expires and ends when DJI Care Refresh +’s replacement service is expired. 5、Can I use DJI Care Refresh +’s replacement service if my product has been replaced twice under DJI Care Refresh, but my DJI Care Refresh + has not taken effect yet? No. DJI Care Refresh +’s replacement service can only be used within the coverage period, and cannot be used in advance or used after it expires. 6、Can I renew my DJI Care Refresh + when it expires? No, you cannot. Currently, each product is eligible only once for DJI Care Refresh +. 7、Which parts will be covered under DJI Care Refresh +’s replacement service and extended warranty service? 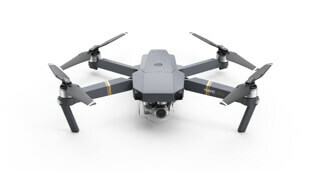 Mavic series and Spark: aircraft, gimbal, camera, battery, and propellers. 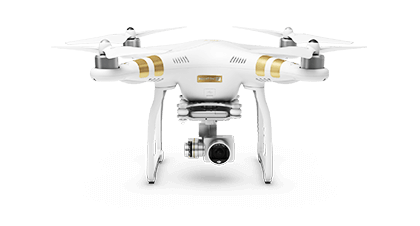 Phantom 4 Pro series, Phantom 4 Advanced and Phantom 3 SE: aircraft, gimbal, camera, and propellers. Inspire 2: aircraft and propellers. Zenmuse X4S, Zenmuse X5S, and Zenmuse X7: gimbal and camera (including lens). Mavic Series, Spark, Phantom 4 Pro series, Phantom 4 Advanced, and Phantom 3 SE: Main Controller, Gimbal and Camera, Vision Positioning System, and Propulsion System (Excluding Propellers). Inspire 2: Main Controller, Vision Positioning System, and Propulsion System (Excluding Propellers). 8、I have purchased DJI Care Refresh +, do I need to bind it to my product? 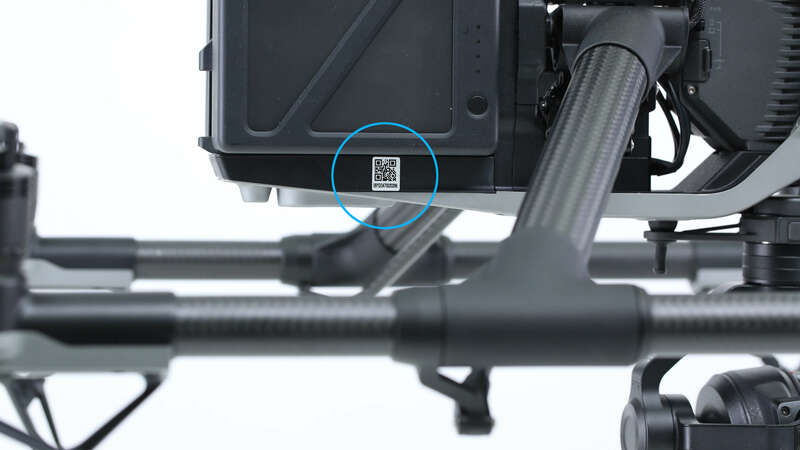 If you purchase DJI Care Refresh + separately on DJI’s Online Store, you need to enter the serial number of your product on the prompt page. 9、How do I use DJI Care Refresh +’s replacement service? 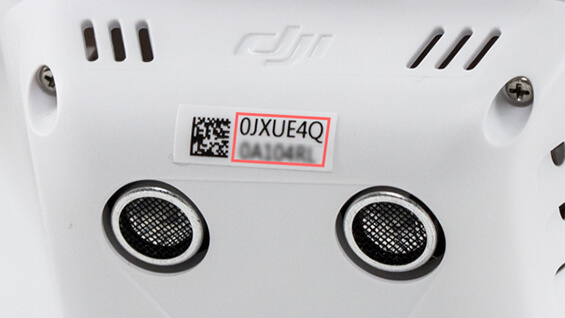 DJI Care Refresh + will be binding with your product’s serial number. To use the replacement service, you can go to Support and Repair Services on the DJI’s official website and select Online Repair Request. If damage responsibility determination is not required, an Express option will be provided, and a replacement unit will be sent to you as soon as possible. 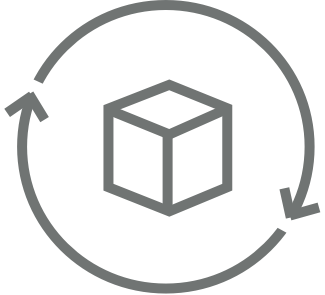 After the Express option is chosen, send in your product to a DJI designated repair center following the instructions from DJI Support. We will replace your product’s serial number with the replacement unit’s serial number, which will not affect follow-up services. 10、Does DJI Care Refresh + support international coverage ? No, at the moment, DJI Care Refresh + only works within one coverage region. DJI Care Refresh + and the corresponding product must be purchased from the same country or region. 11、Can I purchase DJI Care Refresh + after it was detected that my out-of-warranty product has a manufacturing defect and a paid repair was required, or can some repair fees be returned after DJI Care Refresh + is purchased? No. 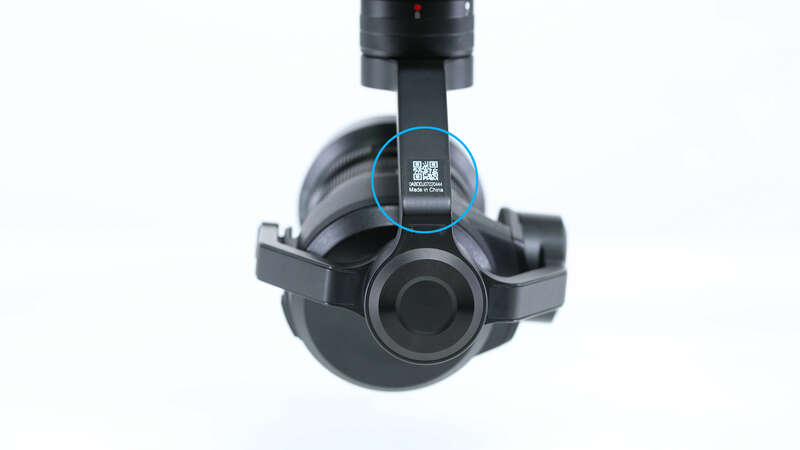 DJI Care Refresh + cannot be used if your out-of-warranty product is sent to DJI’s official service center and it is detected that the product has a manufacturing defect prior to your DJI Care Refresh + becomes effective. Fees that have been paid for repair will not be refunded. 12、My aircraft crashed into water. Will replacement be covered under DJI Care Refresh +? Water damage is covered by DJI Care Refresh +. A water-damaged product can be replaced under DJI Care Refresh +’s replacement service. 13、How do I purchase DJI Care Refresh + for Inspire 2, Zenmuse X4S, Zenmuse X5S or Zenmuse X7? DJI Care Refresh + needs to be purchased separately for the Inspire 2, Zenmuse X4S, Zenmuse X5S, and Zenmuse X7. 14、Will DJI Care Refresh +’s coverage period be re-calculated after my aircraft’s serial number and gimbal’s serial number are changed? No. The coverage period in the service agreement will not be re-calculated if any serial numbers are changed. When your product is replaced under DJI Care Refresh +, the replacement unit will either be new or equivalent to new in terms of performance and reliability. 16、Where can I find the aircraft’s serial number and gimbal’s serial number? 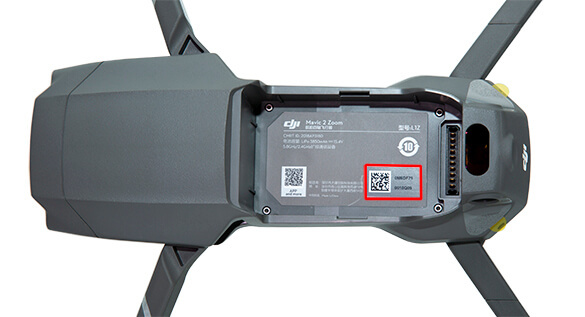 For Mavic series and Spark, the aircraft’s serial number can be found inside the battery compartment. For Inspire 2, the aircraft’s serial number can be found on the tail of the aircraft. 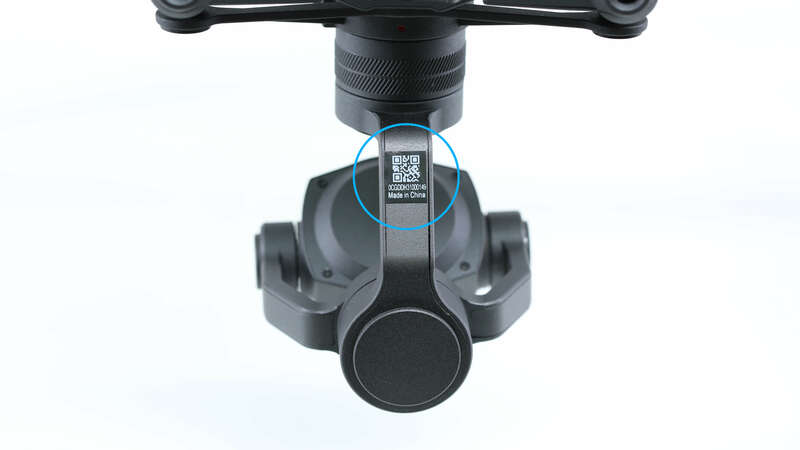 For Zenmuse X4S, Zenmuse X5S and Zenmuse X7, gimbal’s serial number can be found on the gimbal’s axis. For Phantom 4 Pro series and Phantom 4 Advanced, the aircraft’s serial number can be found inside the battery compartment. 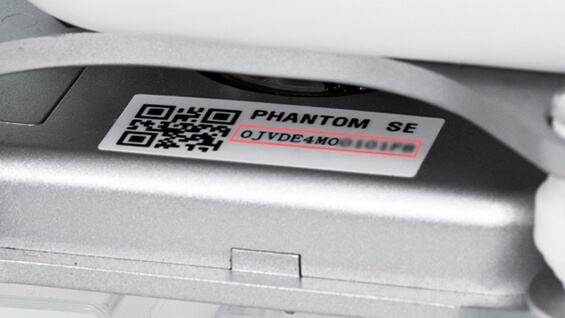 For Phantom 3 SE, the aircraft’s serial number can be found on the tail of the aircraft, and the gimbal’s serial number can be found on the gimbal’s main board. Thank you for choosing DJI Care Refresh +. By purchasing DJI Care Refresh +, you acknowledge that you have read, understood, and agreed to these terms. DJI Care Refresh + is created to give you peace of mind by SZ DJI Technology Co., Ltd. and/or its designated affiliated companies (hereinafter "we" or "DJI"). To provide longer-lasting and more comprehensive protection, DJI Care Refresh + is now released for customers who have purchased DJI Care Refresh. For product damage caused by user errors or accidents, DJI will offer a replacement service for a small additional charge. Furthermore, an Extended Warranty Service will be provided, and a free repair service will be provided if your product has a manufacturing defect. DJI commits that repair fees (including material fees and labor fees) will be covered under DJI Care Refresh + if your product has a manufacturing defect within the coverage period. 1. 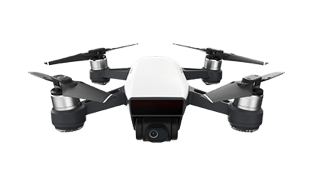 If your product suffers performance failures due to product quality issues during normal use and is sent to DJI’s official service center within the coverage period for repairs; repair fees will be covered by DJI. 2. You will pay the repair fees resulting from any damage uncovered by DJI Care Refresh + or other related services you’ve purchased. 3. For Mavic 2, the covered gimbal under DJI Care Refresh + is only for the gimbal with its serial number bound to the aircraft. If the gimbal was replaced in DJI’s official repair center (DJI’s official repair center mentioned in this Agreement refers to DJI’s repair centers, official recommended repair centers, and authorized repair centers), the coverage stated in the agreement will be updated automatically and the replaced gimbal will be covered by DJI Care Refresh +. The other gimbal that is removed from the aircraft will not be covered. For an additional charge, a replacement service will be provided for product damage caused by accidents. DJI agrees to provide replacement products for an additional fee based on the agreement if damage occurs accidentally under normal use to a covered aircraft, gimbal and camera within the coverage period. When your product is replaced under DJI Care Refresh +, a replacement unit in new or like-new condition in terms of performance and reliability will be sent to you.Replaced units under the Replacement Service may vary based on the product model. For Mavic Series and Spark, the aircraft, gimbal, battery, and propellers can be replaced. 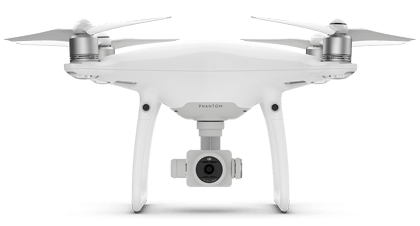 For the Phantom 4 Pro series, Phantom 4 Advanced, and Phantom 3 SE, the aircraft, gimbal, and propellers can be replaced. 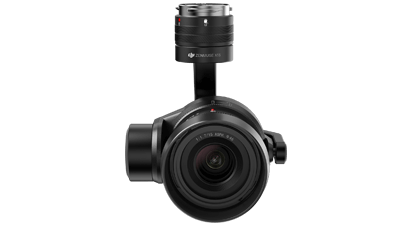 For Zenmuse X4S, Zenmuse X5S, and Zenmuse X7, the gimbal and camera (including lens) can be replaced. a. Damage to aircraft, gimbal or camera due to dropping, compression, or crashing caused by operator error or other accidents, will be supported by the replacement service provided that the product is sent to DJI for replacement within the coverage period. The replacement service will be provided by DJI’s official service center in which your DJI Care Refresh + was purchased. b. If you choose to apply for a replacement service under DJI Care Refresh +, your original aircraft needs to be returned to DJI and a replacement service fee will be charged. After replacement, the original product becomes DJI’s property. c. DJI Care Refresh + and the corresponding product must be purchased from the same country or region. DJI Care Refresh + only supports aircraft purchased from official or authorized channels, and its benefits are only eligible in the region where it was purchased. d. DJI will cover shipping fees only in the country or region where DJI Care Refresh + was purchased. Otherwise, the customer will be responsible of the shipping and taxation fees arise from using the DJI Care Refresh + cross-region. DJI has the right to refuse service in this circumstance. 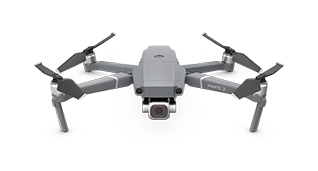 e. For Mavic 2, the covered gimbal under DJI Care Refresh + is only for the gimbal with its serial number bound to the aircraft. If the gimbal was replaced in DJI’s official repair center, the coverage stated in the agreement will be updated automatically and the replaced gimbal will be covered by DJI Care Refresh +. The other gimbal that is removed from the aircraft will not be covered. 2. Stolen or abandoned aircraft and accessories. 3. Damage caused by flight in unsuitable environments. 4. Remote controller, battery of Inspire 2, Phantom 4 Pro series, and Phantom 4 Advanced, and Phantom 3 SE, and modification accessories. 6. Natural wear and shell damage that do not affect the performance of product. 7. Direct or indirect losses caused by force majeure, war, military action, riot, coup, treason and/or terrorism activities, etc. 8. Replacement requests for damage incurred outside the coverage period. 10. Damage resulting from modifications that are not in accordance with official manual recommendations, or the use of incompatible batteries and charger. 11. Damage resulting from the use of non-DJI certified third-party accessories, batteries or software. 12. DJI Care Refresh Replacement Service has been terminated as stipulated herein. 13. Any litigation, arbitration and/or any other legal fees relating to DJI Care Refresh +. 14. Replacement Service is requested outside of the region where the product was purchased. 15. A gimbal that is repaired or replaced in a non-official repair center. 16. A gimbal that is removed from the aircraft and replaced by another one in DJI’s official repair center. 1. Damage not resulting from quality issues. 2. Damage caused by abnormal use. 3. Damage caused by unauthorized actions, such as modification or dismantling. 4. 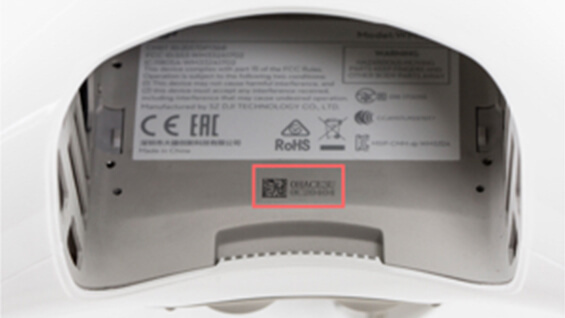 Damage caused by installation, usage, and operation not in accordance with the manual’s recommendations. 5. Damge to accessories and/or gimbal caused by unauthorized repair. 6. Damage resulting from unauthorized circuit restructuring, or incompatibility of batteries and charger. 7. Damage caused by operations which did not follow instruction manual recommendations. 8. 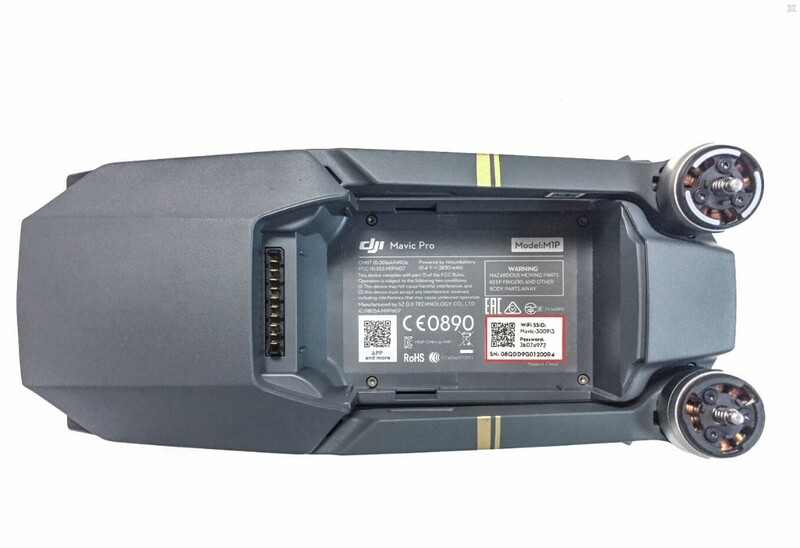 Damage resulting from the use of non-DJI certified third-party accessories, batteries or software. 9. Damage resulting from using a defective battery. 10. Stolen, forgotten, lost, or abandoned aircraft and accessories. 11. Repair fees for components other than aircraft’s main controller, gimbal and camera, vision positioning system, and propulsion system (excluding propellers). 12. Natural wear or damages on component surface, shell or rack that did not influence performance of product. 13. Direct or indirect losses caused by force majeure, war, military action, riot, coup, treason and/or terrorism activities, etc. 14. Repair requests for damage incurred outside the coverage period, or product is not sent within 7 calendar days after warranty repair service is required. 15. Indirect loss and/or anticipated profit in any form. 16. Extra fees resulting from technical enhancements or performance improvements. 17. Personal injury and/or property loss to the customer or any other people caused by the aircraft. 18. Any litigation, arbitration and/or any other legal fees relating to Extended Warranty Service. 19. Any repair fees resulting from or following water damage. 20. Fees generated in repair service will not be refunded before DJI Care Refresh +’s Extended Warranty Service takes effect. 21. Extended Warranty Service is requested outside of the region where the product was purchased. 22. A gimbal that is repaired or replaced in a non-official repair center. 23. A gimbal that is removed from the aircraft and replaced by another one in DJI’s official repair center. 1. DJI Care Refresh + provides one chance to replace your products. After you claim for replacement of your aircraft under DJI Care Refresh +, DJI shall be considered to have fully executed the Replacement Service. Then DJI Care Refresh Replacement Service will then be terminated, but Extended Warranty Service is still valid within the warranty period. 2. When your product is replaced under DJI Care Refresh +, a replacement unit in new or like-new condition in terms of performance and reliability will be sent to you. 3. If your product is replaced under DJI Care Refresh +, the original product becomes DJI’s property, and the replacement unit is your property. 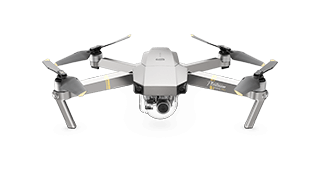 Mavic series, Spark, Phantom 4 Pro series, Phantom 4 Advanced, and Phantom 3 SE: Main controller, bound gimbal and camera, vision positioning system, and propulsion system (excluding propellers). 1. The coverage period of DJI Care Refresh +’s Replacement Service is 12 months and starts from the day when DJI Care Refresh purchased is expired. 2. Extended Warranty Service’s coverage period starts from the day when the original warranty period is expired and ends until DJI Care Refresh +’s Replacement Service is expired. 1. 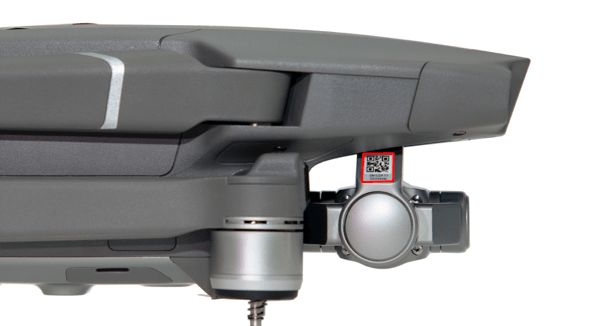 If damage to your DJI product occurs, and you are within DJI Care Refresh + coverage, request “Online Repair Request” or “Express Option” under Repair Services on the DJI’s official website or contact DJI Support at http://www.dji.com/support. TEL and ONLINE SUPPORT are preferred. Send in your damaged product (maybe including the aircraft, gimbal, propellers or battery) to a DJI designated service center after Online Repair Request or Express option is applied. Which part(s) needed to be sent back is based on the specific DJI Care Refresh + your purchased. 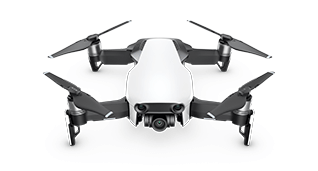 If you purchase DJI Care Refresh + for Inspire 2 separately, send in the aircraft and propellers. 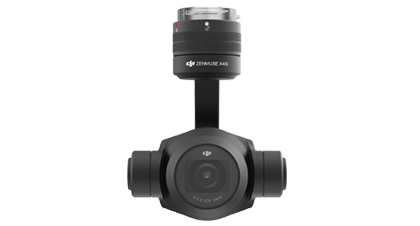 If you purchase DJI Care Refresh + for Zenmuse X4S/ Zenmuse X5S/ Zenmuse X7, send in Zenmuse X4S, Zenmuse X5S or Zenmuse X7 gimbal and camera (including lens). If you purchase DJI Care Refresh + for Phantom 4 Pro series, Phantom 4 Advanced and Phantom 3 SE, send in the aircraft, gimbal, camera, and propellers. If you purchase DJI Care Refresh + for Mavic Series and Spark, send in the aircraft, gimbal, camera, and propellers. In order to shorten logistics time, please do not send back the battery if it works well. 2. Do not return the remote controller. You will be required to undertake any fees incurred from returning the remote controller. 3. For Mavic 2, if your gimbal is replaced in DJI’s official repair center, please send the aircraft and replaced gimbal back. If wrong gimbal and/or additional gimbal is sent back, the genertaed fees will be covered by the customers themselves. 4. DJI Care Refresh+ provides up to one replacement for your drone. For each replacement service, DJI Care Refresh + for the Mavic series and Spark covers only one battery replacement. Please do not send additional batteries or accessories. Otherwise, the customer will be responsible for any related shipping and handling fees. 5. 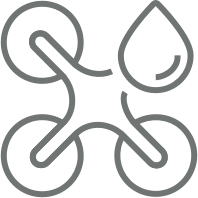 If damage to your aircraft occurs, and you are within DJI Care Refresh +’s replacement service coverage, you will receive a quotation for the repair fees. You can choose to pay for repair or replace your aircraft. For replacement services, an additional fee will be charged. After the payment is confirmed, DJI will send the replacement to you. 6. If your product has a manufacturing defect, and you are within DJI Care Refresh +’s extended warranty service coverage, repair fees (including material fees and labor costs) will be covered by DJI based on the terms of service. You will pay the repair fees resulting from user error. After the payment is confirmed, your product will be repaired and sent back to you. 1. DJI Care Refresh +’s replacement service and extended warranty service has expired. 2. Your product has been replaced once under DJI Care Refresh +. Then DJI Care Refresh Replacement Service will then be terminated, but Extended Warranty Service is still valid until the expiry date. 1. The aircraft or the gimbal has been repaired in a non-official designated repair center. 2. If you are found conducting or have conducted any fraud on DJI, e.g. willfully break a DJI product covered under DJI Care Refresh + service with intention to gain financial interest, the service will be terminated automatically without refund, and DJI reserves the right to take legal action against you. 3. Under circumstances, as specified in this Terms of Service or other guidance, which are no longer eligible for DJI Care Refresh +. 4. You applied to withdraw from DJI Care Refresh + service and approved by DJI. Replacement Fee: You may pay to purchase DJI Care Refresh + service to be eligible for consequent replacement service, and within the coverage period, you would need to pay a comparatively small sum of money to enjoy the replacement service. Shipping Fee and Taxation: Shipping fees occur in the region where you purchased DJI Care Refresh + will be covered by DJI. If you are in a place which is not covered by DJI Care Refresh + service, you will have to pay the shipping fee and tax, if any, arise from using the DJI Care Refresh + cross-region. Except the said fees, there are no hidden charges for the replacement service. Phantom 4 Advanced: AUD $149. 1. DJI Care Refresh + can be withdrew upon return of the product purchased according to DJI refund policies. 2. DJI Care Refresh + cannot be withdrew without returning the product purchased. 3. DJI Care Refresh + cannot be withdrew once DJI Care Refresh + (including Replacement Service and Extended Warranty Service) has been used. 4. DJI Care Refresh + cannot be transferred after purchase. 2. When using the Replacement Service and sending your product back, please ensure the SD card is not sent back to DJI. DJI shall not be responsible for any damage or loss to the data or personal information stored or saved in your product. 3. You agree to allow DJI to delete any recorded data from the product you sent back.